Author Cherry Potts reads from her new novel The Dowry Blade, and discusses ways of writing fantasy with an opportunity for a short writing exercise for the audience. Attending the London Book Fair? This event is on the final day and Brompton Library is one stop on the tube/overground away from Olympia, at West Brompton, then a short walk. We had a great evening at Gay’s the Word – thank you to Uli & Jim – and despite Kate’s determination to walk out of shot, we have some video – where it got silly, with just a sleeve on show, there’s audio instead. 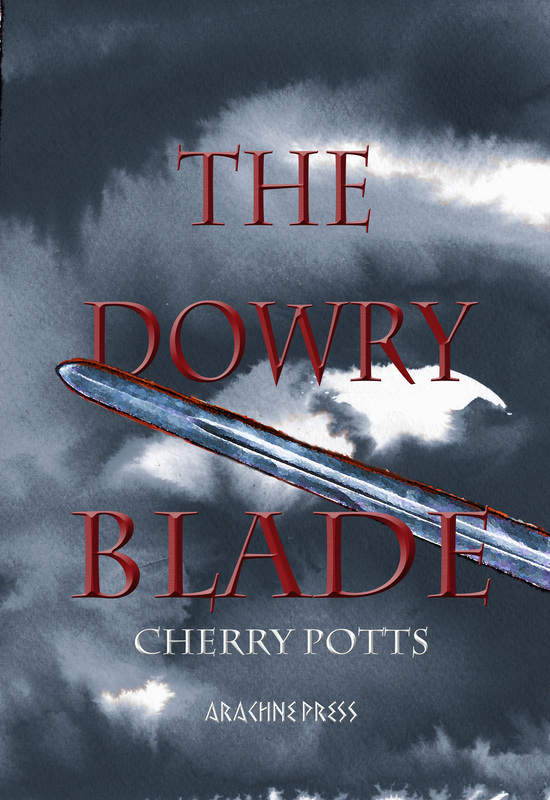 Here’s Cherry reading a bit about family from The Dowry Blade, chosen specially to link with Kate’s themes, and not read elsewhere. and here, reading an abridged version of the long title poem. I was interviewed recently by East London Lines about The Dowry Blade and Outcome. Read it here They managed to miss the point on Outcome, and misrepresent what I said about fantasy in the 70’s but never mind. So, experimenting with new stuff, my forthcoming book, The Dowry Blade (February 2016) is on NetGalley, a review site for librarians, bookshop owners, book bloggers and professional reviewers. If that is YOU, you can download a review PDF here. It is UNPROOFED, ok, so no comments about typos! LoSoCo is what I’ve always known as Lewisham College. Holiday Romance, in which Melanie goes on holiday with her mother and allows her imagination to run riot. Baby Pink/ Electric Blue, in which Marlene can’t cope with a wedding. both from Mosaic of Air. Thanks to Mary Fudge for organising, and to the students and staff for coming along and asking interesting questions.